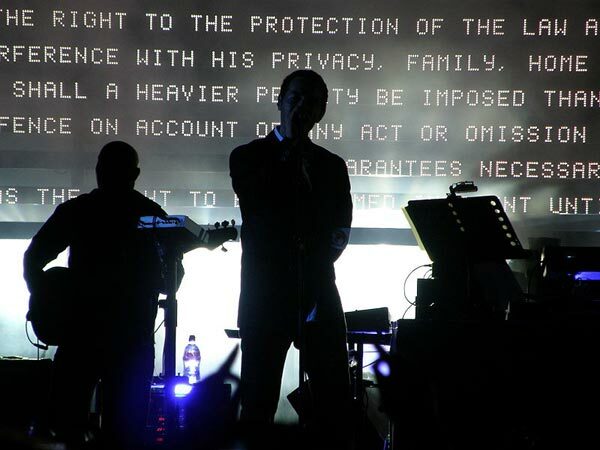 In the 90’s, the trip-hop heavyweights like Massive Attack (pictured above), Portishead, and Tricky hit the mainstream. During, and shortly after their success, other trip-hop acts sprung up: Morcheeba, Sneaker Pimps (now disbanded), Hooverphonic, and a host of others. But the heavyweights took their sweet time between album releases. Portishead, for example, took 11 years to release their last album, THIRD. And it wasn’t even trip-hop anymore. You could argue that it still had the same dark tones and electro-infused sounds, but it was clearly an evolution of the sound for the band, and a departure from the record scratches and electro-acoustic sounds of trip-hop. Massive Attack, in their follow up albums to Mezzanine, also went more electronic. I don’t think the genre of trip-hop is dead, but I do think it has evolved. I like where it’s going. To me, a good trip-hop album will send shivers down my spine on every listen. It’s my go-to genre when I’m not sure what I feel like listening to on a particular day. And until the day where I refuse to play a Portishead or Massive Attack album, trip-hop will still be alive and well in my heart. For me trip-hop track is not characterized by sonic palette, i perceive it like a assembled puzzle which should be disassembled to feel the whole beauty of a track. No established art or music genre ever truly “dies”. They only fall from mainstream fame and evolve. Things go back underground (where the real good art is anyways). Trip-hop in the mid-90’s sense is rare these days. Crate-digging DJs have been replaced by digital writers and producers. This is not all bad! Though turntables and MPC samplers are great, there is more that can be done these days by computer. This has ultimately advanced and expanded the genre. ‘Trip-Hop’ is simply ‘abstract hip-hop’. Now we have genres such as downtempo and nu-jazz as well… but all four of these labels are often pretty much interchangeable. (Though nu-jazz and downtempo also include house derived rhythms at times.) You could even consider some of the more relaxed, melodic dubstep to be trip-hop of sorts. It is sad that most Americans love hip-hop yet don’t understand trip-hop at all. Mainstream popified hip-hop followed a simplistic, dumbed-down, and restrictive formula. Trip-hop/Abstract Hip-Hop opened the rhythm structure up for broader useage. Trip-hop has no limits other than a basic breakbeat in the 80-100 BPM range. Some good names for google wanderers: DJ Spooky, Kruder & Dorfmeister, Peace Orchestra, Tosca, Herbalizer, Mr. Scruff, DJ Food, Amon Tobin, RJD2, Blockhead, DJ Cam, TM Juke, Quantic, Thievery Corporation, Fila Brazilia, Greyboy, The Dining Rooms, J. Boogie, Skalpel, David Borsu, Boozoo Bajou, Bonobo, Zero7, Air, Boards Of Canada…..